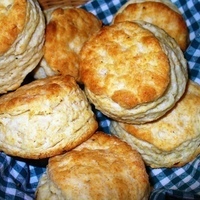 Home » Ricette » Buttermilk and Butter Biscuits - with Attitude! Ricetta Buttermilk and Butter Biscuits - with Attitude! 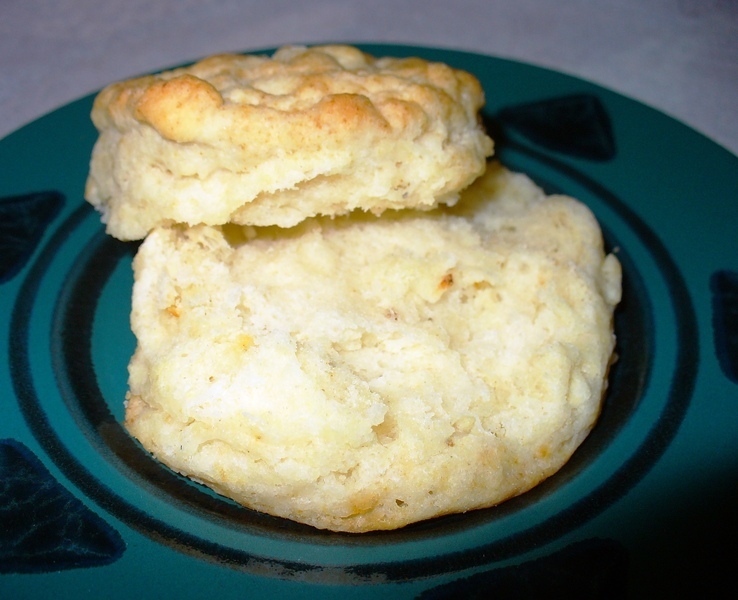 Playing with a biscuit recipe one day I pondered…..what if I subbed butter for the shortening and added some kick-up seasonings? The result got great reviews from guests…. and hours later and at room temp, the “attitude” was delightfully more pronounced.....mm-m! Buttermilk makes them tender and light, while the butter…..oh the butter! A nice quick bread to serve with chili, stew, soup or chicken. In medium mixing bowl mix thoroughly together the flour, sugar, baking powder, baking soda, red pepper flakes, black pepper and paprika. Cut in butter using a pastry blender until mixture looks like fine crumbs. Stir in buttermilk until dough leaves the sides of bowl (dough will be soft and sticky). Place dough on lightly floured surface. Knead lightly 10 times. Pat or roll to 1 1/2 inch thickness. Cut with a floured 2 inch biscuit cutter. Place on ungreased baking sheet about 1 inch apart for crusty sides, or touching for soft sides. Bake 10-12 minutes or until golden brown. Remove from baking sheet immediately and serve. Oh my goodness, I DREAM of eating these biscuits. So flaky and tasty. I could eat them every day. I like them fresh out of the oven with real butter. Delicious! 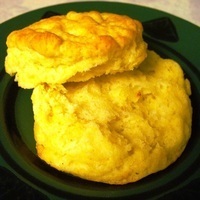 This is biscuit is excellent with Salad Foodie's pork roast with apple's. 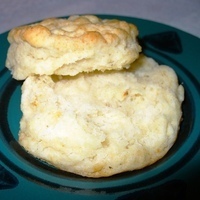 Try the Salad Foodie sour cream biscuits, much healthier. Dear Chef Wannabee (don't we all wannabee chefs? ): Thanks for your review of Buttermilk & Butter Biscuits with Attitude, and it's good to know I'm not the only weird one that DREAMS of food and cooking (though I can't recall dreaming of eating, just the cooking part.) 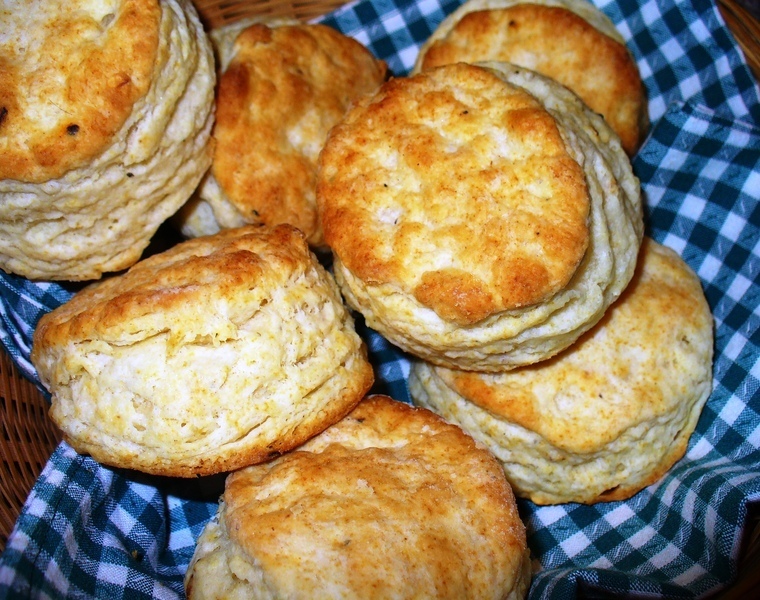 Homemade biscuits are not that time-consuming, though the're a tad messy. Well worth the effort and rewards though! PLEASANT DREAMS!